We have an Elf this year, her name is Lalia Lea Elf. 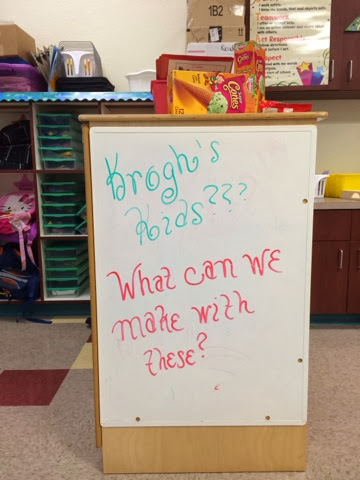 She leaves us a note everyday in her fancy handwriting. The kids come in, look for Lalia, and ask "What did she say?" 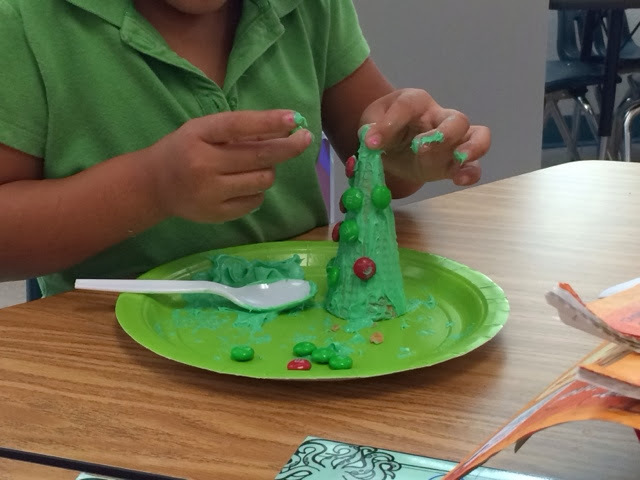 This week she left us the ingredients to make Sugar Cone Christmas Trees. 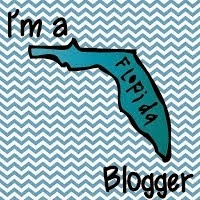 (I love Pinterest). 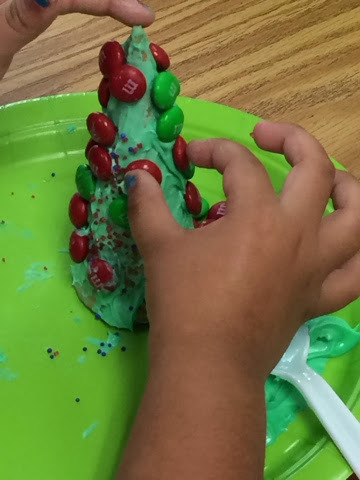 The kids really love making the trees. 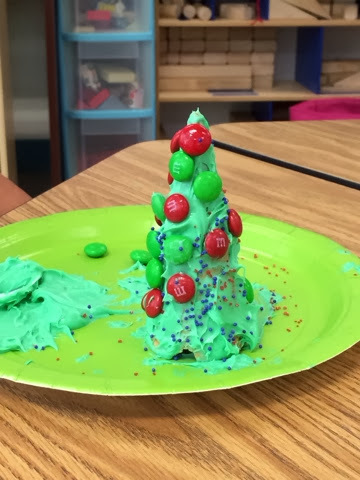 It is a messy food craft, but so yummy. They ate them the same day. Here are some of their trees.